Which of these amazing concept plans will transform YOUR lifestyle? 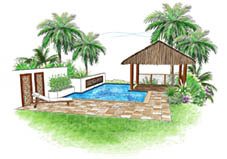 Looking for a Swimming Pool or Landscaping solution that’s simply breathtaking? Check out our FREE plan downloads or follow the 3 simple steps to find a contractor that supplies them.